Vanya Mishra of Chandigarh crowned as the Pantaloons Femina Miss India World 2012 in the grand finale of the 49th edition of the beauty pageant on 30 March 2012 in Mumbai. Prachi Mishra, 24 of Pune won the Miss India Earth title while Chennai girl Rochelle Maria Rao was crowned as the Miss India International. 19-year-old Vanya will represent India at the Miss World 2012 Pageant. Prachi and Rochelle are to represent the country at Miss Earth 2012 Pageant and Miss International 2012 Pageant, respectively. Femina will not send the beauties to the Miss Universe pageant as it had decided in 2010 to abstain from the event. The Union Cabinet of India on 23 March 2012 approved the redrafted Marriage laws (Amendment) Bill, 2010. The bill seeks to give a woman share in her husband’s property in case of a divorce but the quantum of share will be decided by the courts on case by case basis. It also aims at giving rights to adopted children on par with biological off-springs. According to the redrafted bill, adopted children will have rights on par with biological off-springs of a couple in case the parents go for a divorce. It is important to note that all these changes in the bill were based on the recommendations made by the Parliamentary Standing Committee on Law and Justice and Personnel. Union Minister Mukul Roy was on 20 March 2012, sworn in as the Union cabinet Minister by President Pratibha Patil in New Delhi. He is to head to Union Railway Ministry following the resignation of his predecessor Dinesh Trivedi. He replaced Dinesh Trivedi, who was forced to resign after he raised rail passenger fares in Union rail Budget 2012-13 and thus angered Trinamool Congress particularly Mamata Banerjee. West Bengal Chief Minister Mamata Banerjee was opposed to his proposal to increase fares in the railway budget. According to comptroller and auditor general’s draft report titled ‘Performance Audit Of Coal Block Allocations’, the government lost Rs 10.67 lakh crore by not auctioning coal blocks between 2004 and 2009.155 coal blocks were given to commercial entities without auction between 2004 and 2009 thereby causing the exchequer a loss of Rs 10.67 lakh crore at 31 March 2011 prices . The estimated loss is six times higher than the loss figure of Rs 1.76 lakh crore suffered for the 2G scam. The beneficiaries include some 100 private companies, as well as some public sector units, in industries such as power, steel and cement. Union Government of India on 3 February 2012 notified the setting up of the anti-terror body called National Counter Terrorism Centre (NCTC).NCTC will have the power to carry out operations including arrest, search and seizure. It will draw its functional power of search and seizures under the provisions of the UAPA (Unlawful Activities (Prevention) Act. It will work as an integral part of Intelligence bureau. 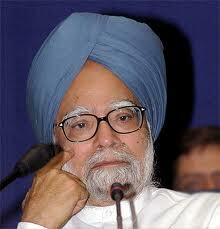 Union Rail Minister Dinesh Trivedi, tendered his resignation on 18 March 2012 to the Prime Minister Manmohan Singh. Trivadi was instructed to resign by his party Trinmool Congress as the decision of increasing the rail fares did not go well with the party. Trinmool Congress chief, Mamta Banarjee had vociferously demanded the rollback of fare hikes.Trivedi proposed a hike in passenger fares ranging between 2 paise to 30 paise per kilometre. The decision was taken to improve the ailing condition of Indian Railways. Trivedi, a Loksabha MP from Barrackpore in West Bengal, took over as the Union Rail Minister on 13 July 2011. Trivedi was slated to be the Union Rail Minister by his party Trinmool Congress, after Mamta Banarjee quit the job. It is for the first time in the history of independent India that a Railways Minister has been made to resign just after five days of presenting the budget in the parliament. Kotala Gram panchayat of Chandragiri mandal ,Chittoor dist of A.P, has won the central government’s Gram Ratna Award. It has won the award for showing the best results in the development of panchayat. As per UNICEF’s State of the World’s Children Report 2012, some dark facts are revealed. 18 per cent of those below 15 years and 47 per cent of those below 18 years are married in India. Thirty percent of Indian girls aged between 15 and 19 are married.